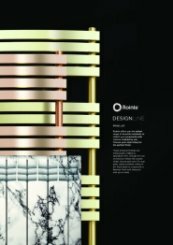 Transform any interior space using the new DESIGNLINE range from Rointe. With colours and styles inspired by you, enjoy a wide range of beautiful solutions designed for maximum comfort and energy efficiency. From vibrant shades to precious metals, choose your perfect finish today. 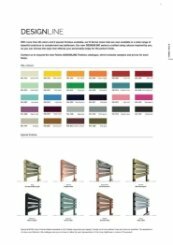 These new artisanal finishes are available in the Rointe D Series range of electric radiators and towel rails. Meticulously crafted by specialists who, through the use of metals like copper, nickel and 24-carat gold, create authentic works of art. Each piece is unique with a flawless finish and will fit seamlessly into any décor. Available in 12 special finishes that include metals along with oxidised and marble effects. Made of 1.5mm thick ST12 steel and electrically welded for a perfect seal. Curved design. Class II heating element duly balanced in W per m and in contact with the thermal fluid to give the product a great heat transfer. Multilayer electronic microcontroller Rointe XLP8 & XLP16 Extreme Low Power, lithium battery and triac cut out element. 1,77’ TFT screen with different colours available. Energy saving function. 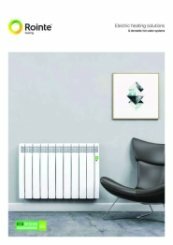 Activates the anti-frost mode to 8 ° C when the room temperature drops 4 ºC in 30 minutes. 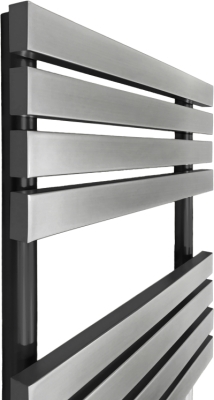 Domotic technology for managing the system easily from the internet, with individual radiator control. Towel rails with WIFI. Allows control from a smartphone or tablet. Also works with the Air Control remote. This function sets the towel rail to maximum temperature for 2 hours. Total control of the towel rail by its touch control panel. Total security with 10 year warranty on aluminum and 2 years on electronics and electrical components.